We love our fruits and vegetables at our house, but that doesn't mean that we don't enjoy a nice chocolate indulgence from time to time! 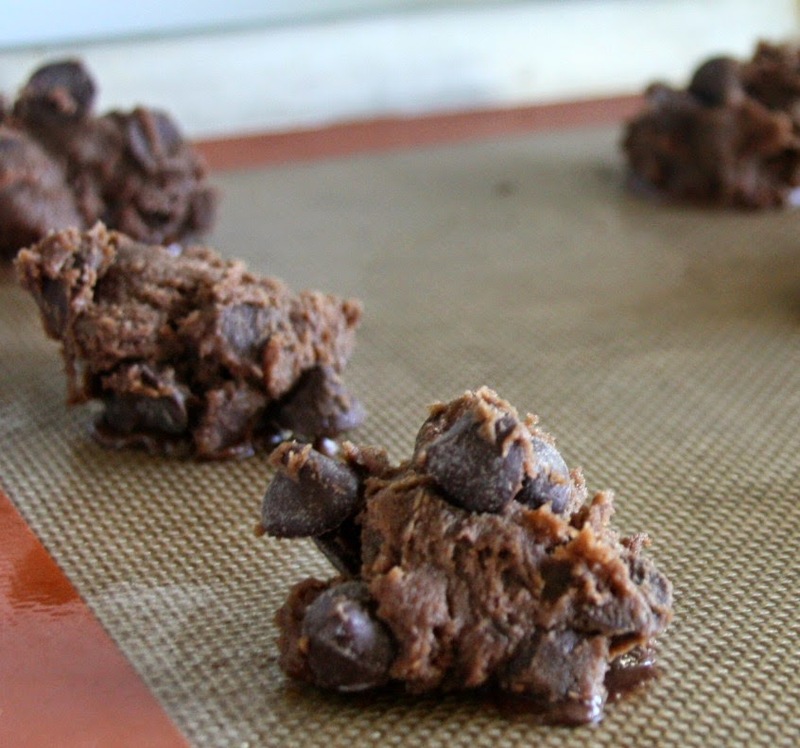 These chewy, fudgey cookies are the perfect chocolate fix. 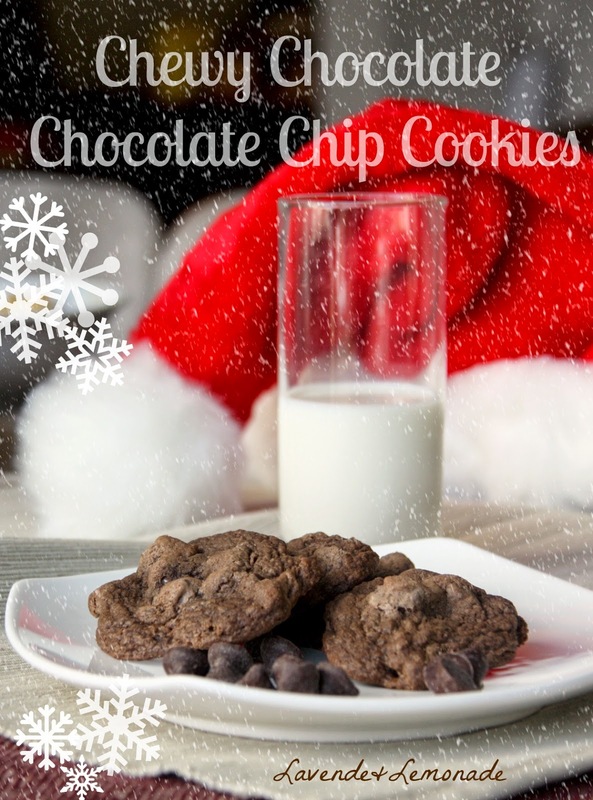 They're perfect for cookie exchanges, as homemade gifts for Valentines day and Christmas, and of course for dessert! Thank you to Nestle Toll House for sponsoring today’s post! Baking Christmas Cookies with Mom has always been a family tradition that we loved. We'd make a mountain of cookies and then package them up to give away to our teachers, to the mailman, to our neighbors, and sneak as many into our mouths as we could along the way! And of course, we'd save a few for Santa - along with plenty of healthy carrot sticks! 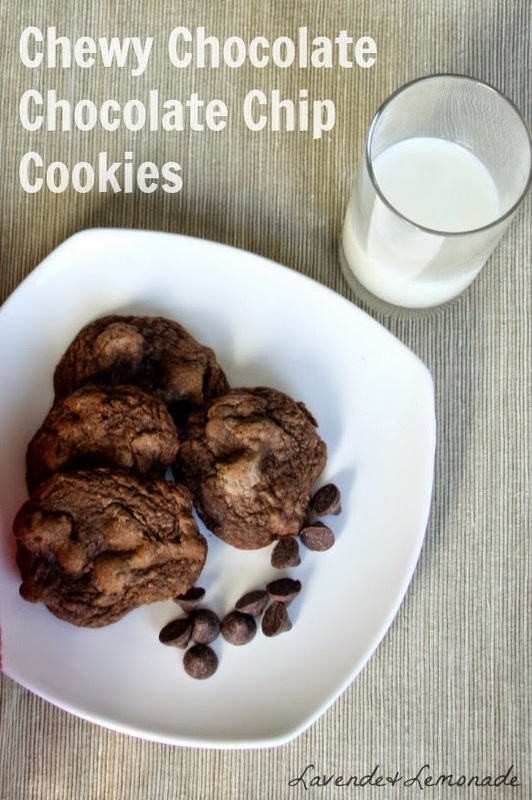 Normally I make these cookies with Dark Chocolate Chips, and have recently discovered Nestle's DelightFulls Filled Baking Morsels that make them even more of a treat with their unexpected burst of flavor. They come in 4 flavors: caramel, mint, peanut butter and cherry and are just a tad bigger than a regular morsel. 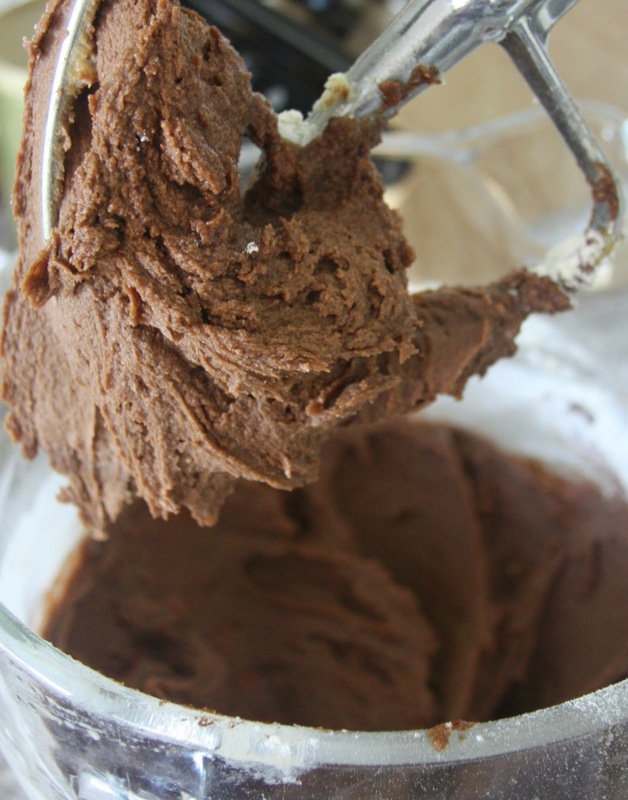 I like to blend the traditional and filled morsels to get a great chocolately balance. This recipe makes 24-36 cookies. Yum. This list looks long, but it is actually really simple. Basically its just flour, sugar, butter, eggs, and chocolate that goes into these absolutely addictive chewy cookies! 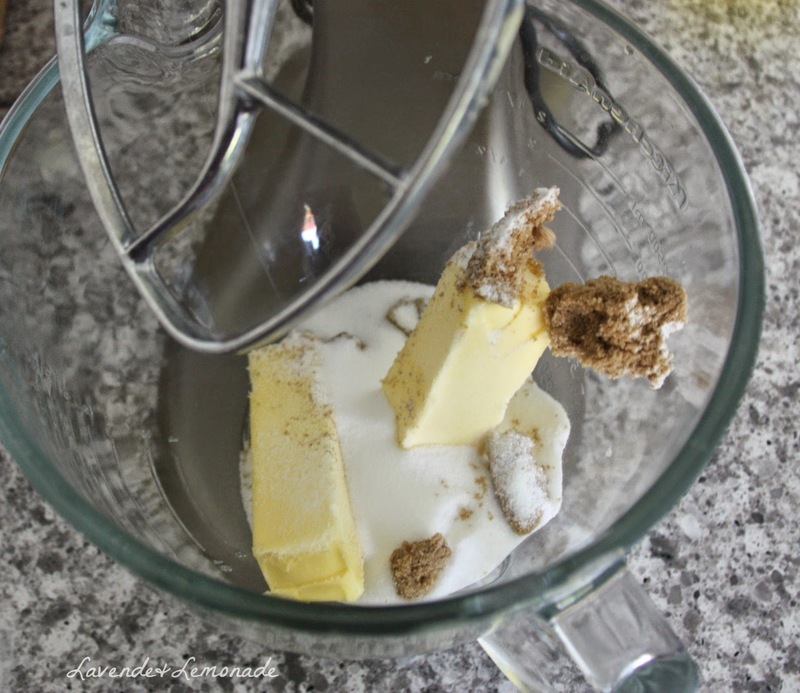 1) In a large mixing bowl (or the bowl to your countertop/stand mixer) blend 2 sticks of gently softened butter with the sugar. I try to leave mine out overnight to get to room temperature, and if (and by if I mean when...) I forget I pop them in the microwave 10 seconds at a time until they're just barely soft. 2) Stir in the vanilla and eggs. 3) Stir in the cocoa powder, baking soda and salt (if you're using unsalted butter) until they're well incorporated and the mixture is a nice fudgey mix. 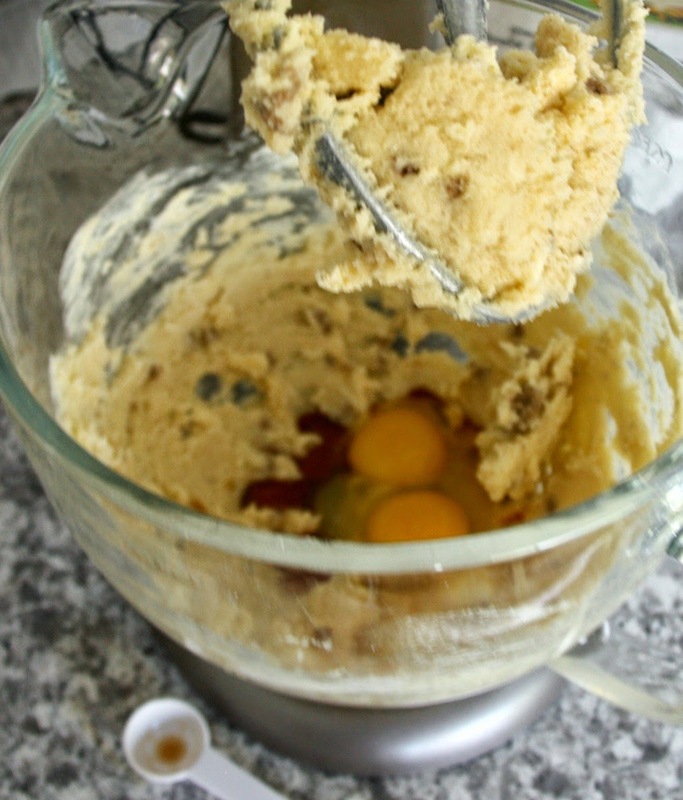 4) Gradually add the flour and mix it all together. 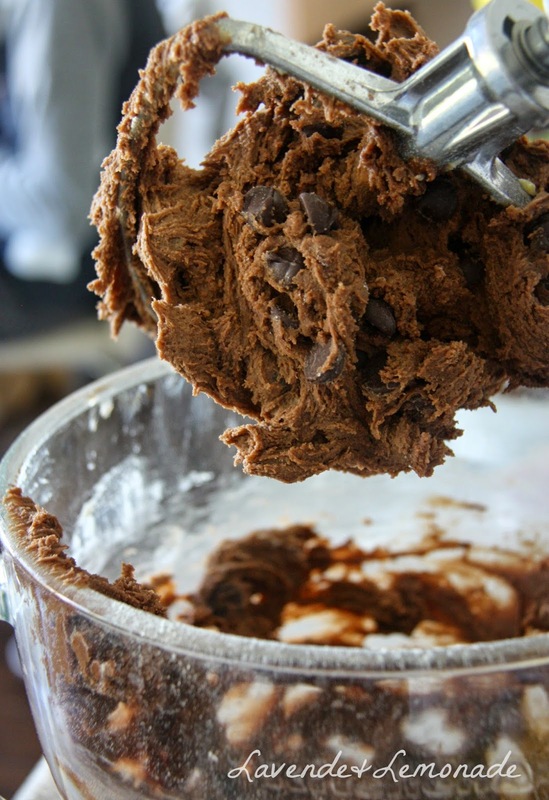 5) Now for the fun part -- stir in the chocolate chips! 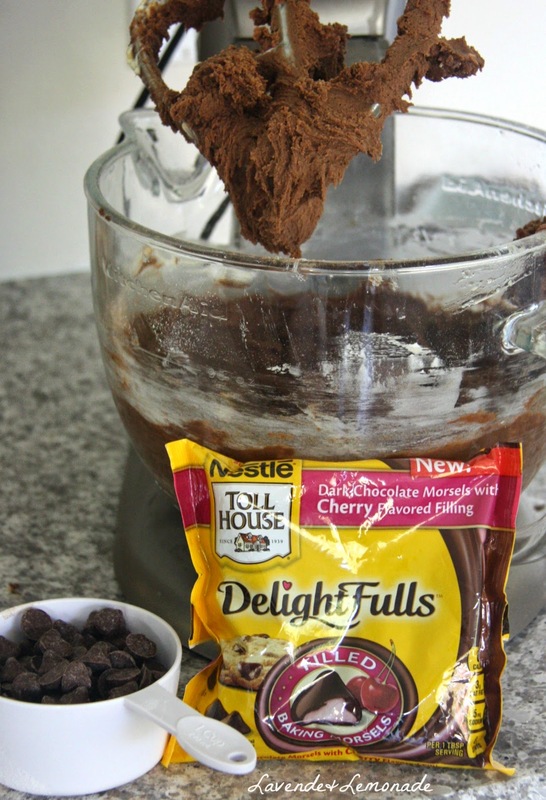 Use a mix of Nestle Toll House Dark Chocolate chips and your favorite Nestle Toll House DelightFulls - mine are cherry! 6) Scoop the batter onto a baking sheet into tablespoon-sized balls. Cook them for about 10 minutes, until they're just barely crisp around the edges and not soggy in the center. When they're done, put them onto a cooling rack and repeat the process until they're all cooked. Many thanks to Nestle Toll House for sponsoring today’s discussion. Looks delicious! I'm going to try this! thank you for sharing. Thank you! I hope that you enjoy them - I'd love to hear how you like them and the twists you make on the recipe!